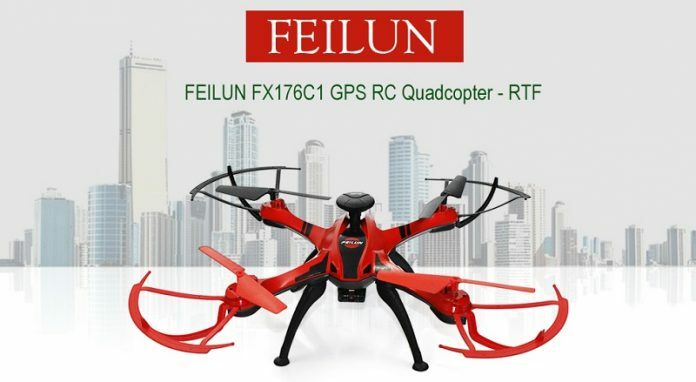 Equipped with GPS positioning system, the FEILUN FX176C1 is the first drone under 100 bugs with truly intelligent flight modes like: Follow me and Waypoint mission. At first look, the weak point of this cheap GPS drone are the brushed motors. They have much shorter life span compared to brush-less ones. 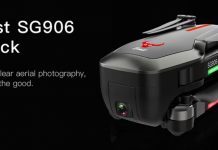 In my opinion, in order to extend the life of the motors, the manufacturer opted to power the FX176C1 drone with only one 700mAh battery. Shorter flight time means less heat and stress for the motors. According to the specs, in case of signal loss or low battery voltage, the aircraft will return to the take-off point and safely land. Although the package includes a nice 4.5CH transmitter, the FX176C1 drone can be also controlled through the “FL Drone 2” APP. 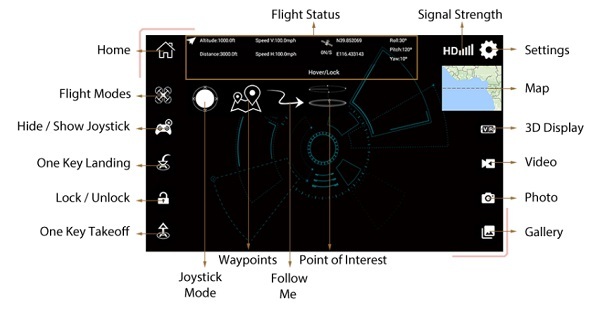 As you can see on the image bellow, the APP also allows to start/stop video recording, as well as to use intelligent flight modes. Donde comprar repuestos de helices ? Where can I find spare parts, especially propellers for this drone? 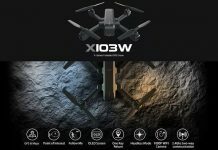 This is definitely not the first brushless GPS drone with intelligent flight moderator under 100$. The Hubsan 507a does that for a while now and is below 100$ also.